Take a look at this 3 bed 2.5 bath home in beautiful Mission Viejo! This home has so much to offer to any prospective buyer! All bedrooms are upstairs with a half-bathroom down stairs. This home has a lot of privacy, as it backs up to a hillside. In addition, this home is flooded with natural light due to its many windows and sliding doors. The backyard wraps around the home with lush grass and beautiful mature plants. As you enter the home you will notice the beautiful upgraded flooring, new interior paint, recessed lightening, vaulted ceilings, cozy fireplace, and a bay window. The Master Bedroom is spacious and the Master Bathroom has a very modern feeling with dual sink vanity and a large closet with mirrored sliding doors! The kitchen has been upgraded, with counter-tops, tile back-splash that carries through the kitchen, and a large window that over looks the yard! This home is just minuets from Lake Mission Viejo that offers beaches, fishing, boating and more!. There are endless dining and entertainment options, Hiking Trails, Public Library, Green Belts and a bounty of parks/recreation areas. Make sure to take a look at all the pictures and 3D Tour! 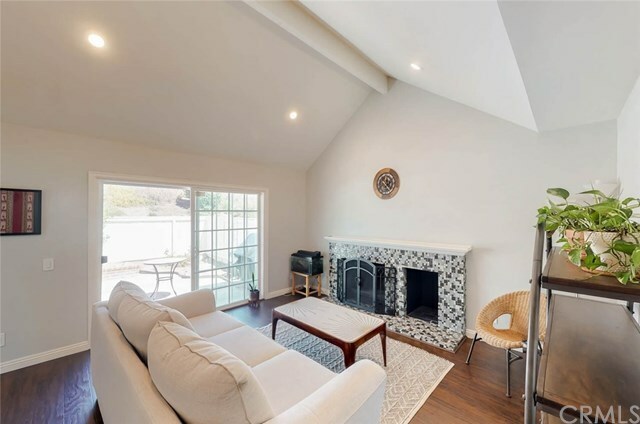 Don't miss out on this Mission Viejo Beauty!